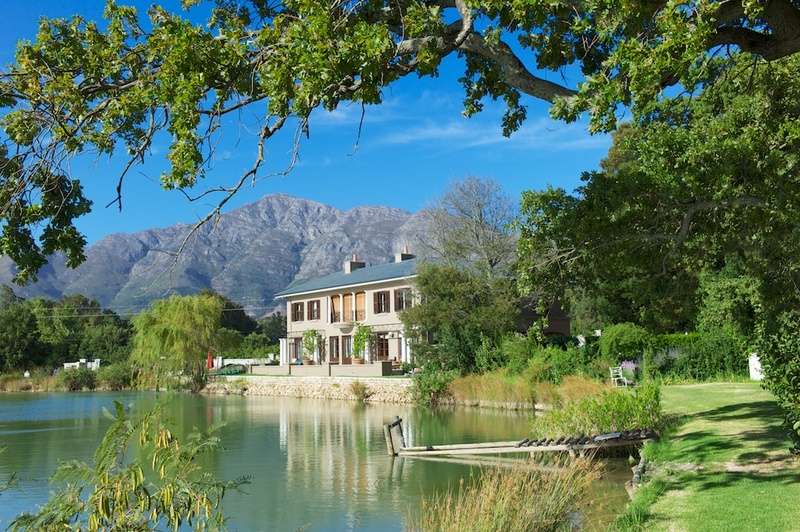 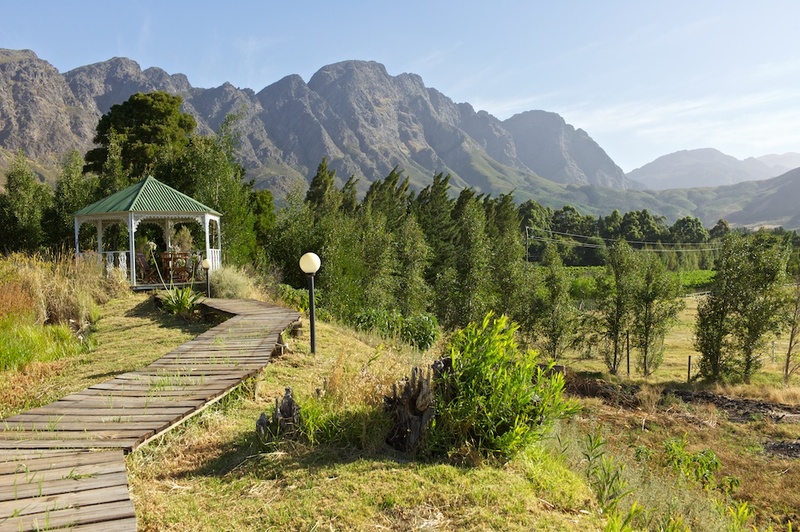 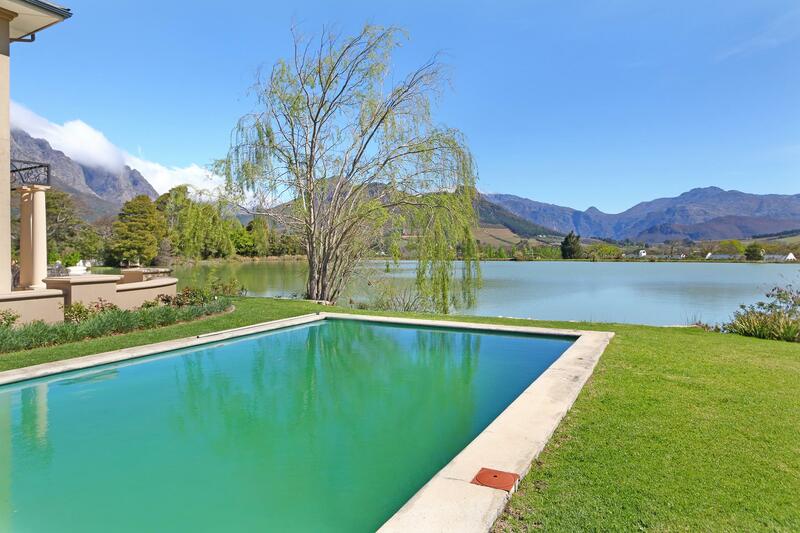 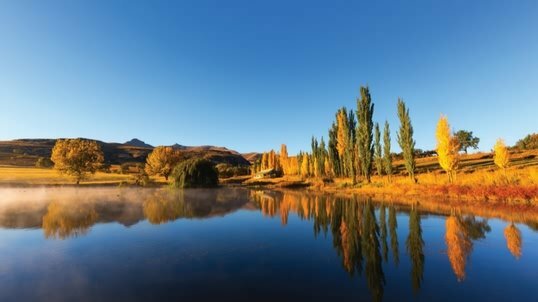 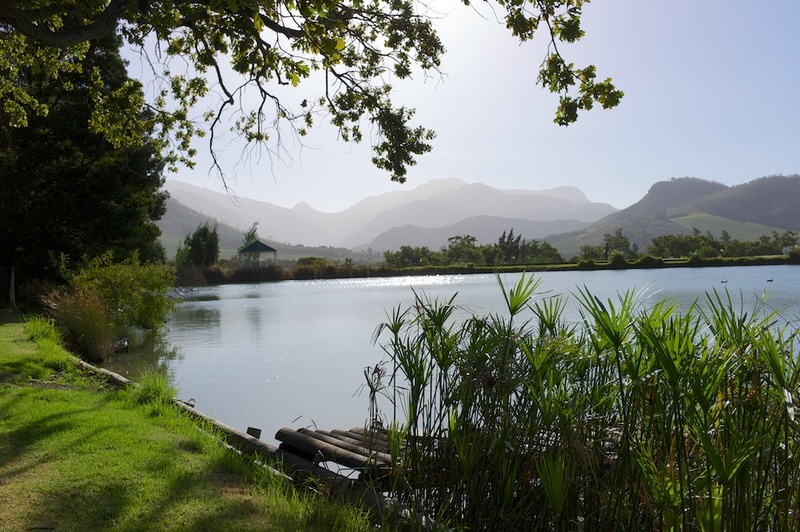 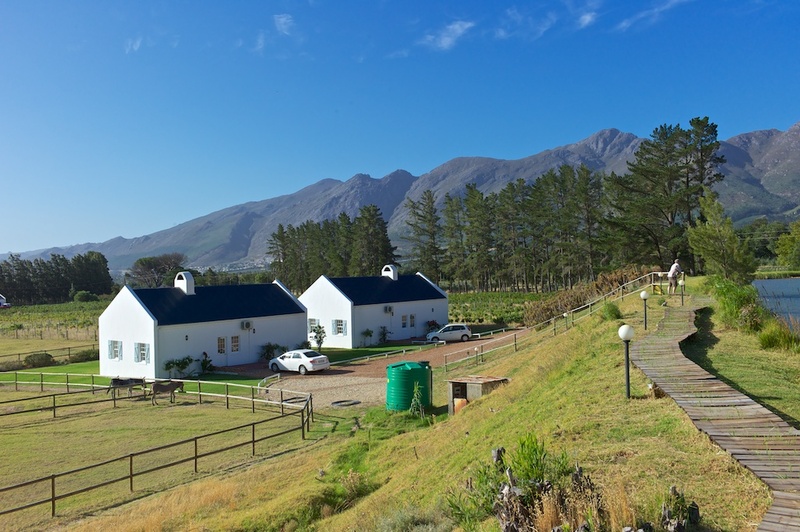 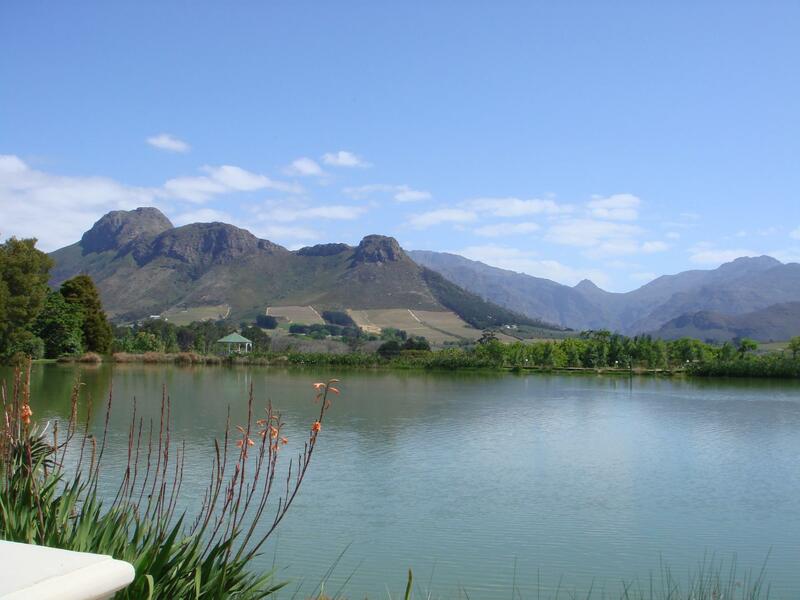 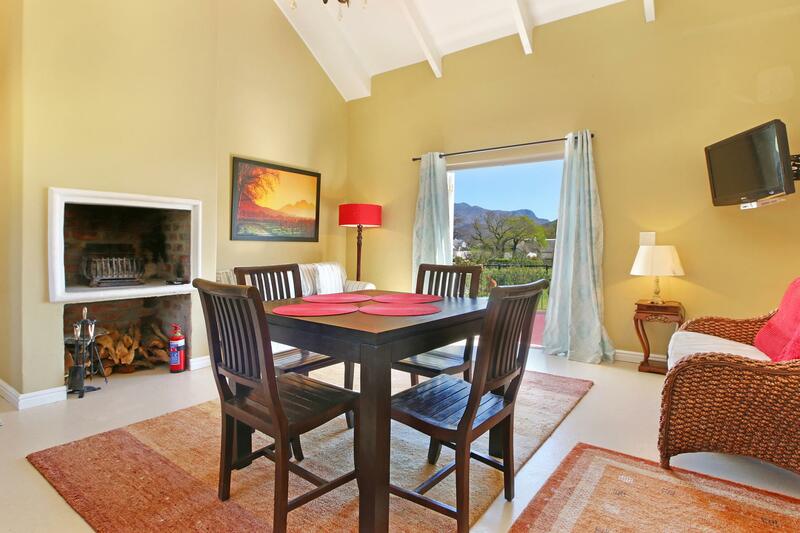 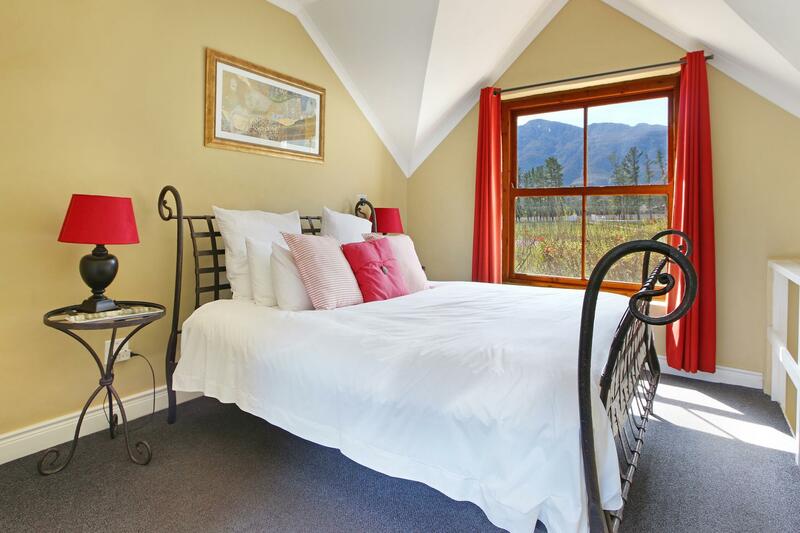 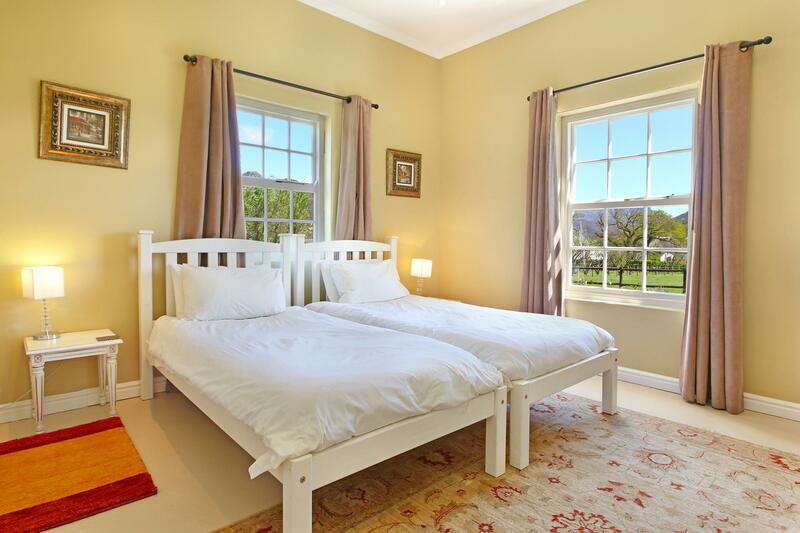 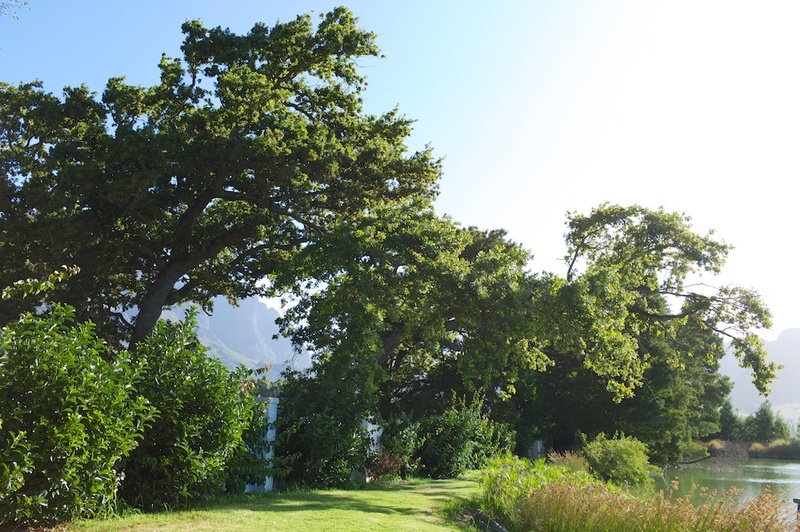 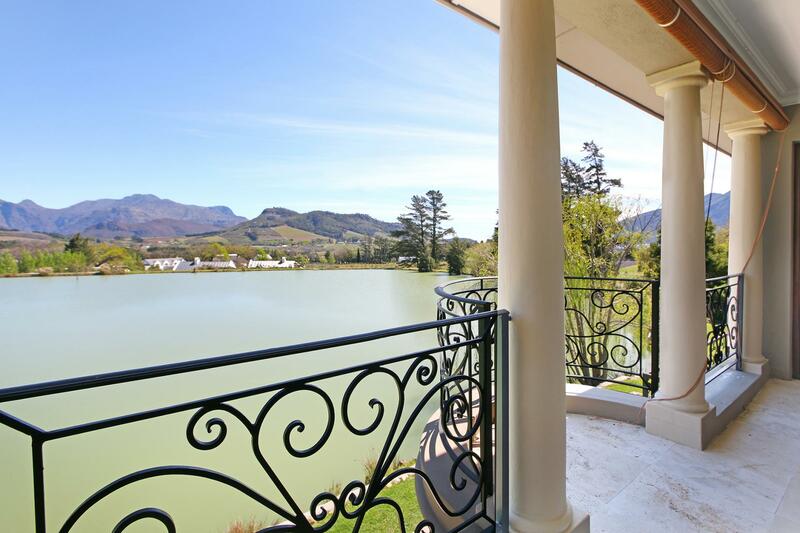 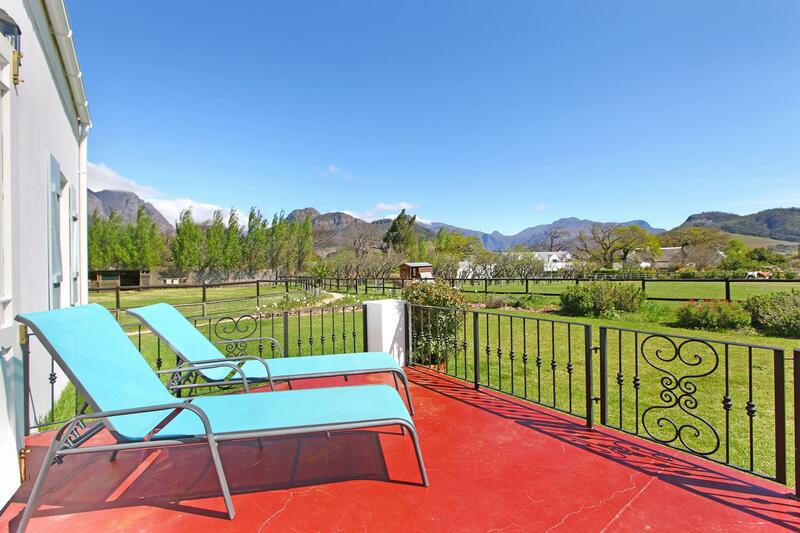 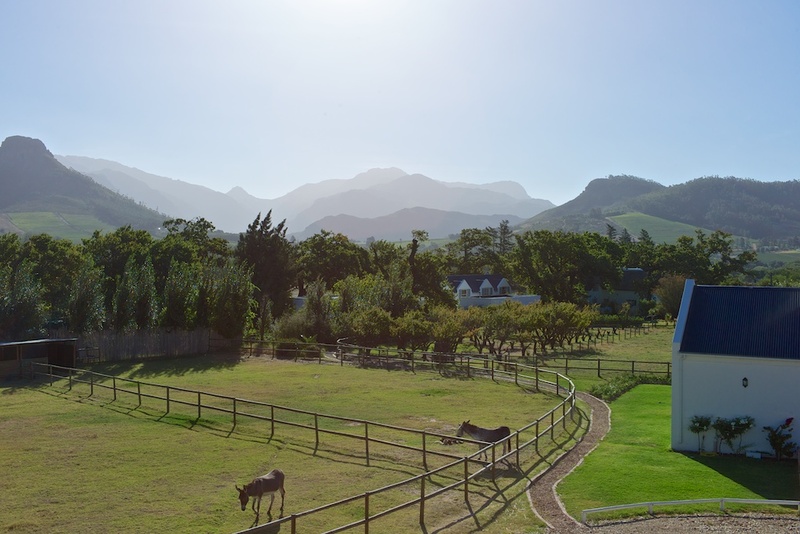 This stunning 4 hectare Guest Farm is ideally located on the edge of Franschhoek Village, nestled amongst the vineyards and offering stunning mountain views and rural tranquility. 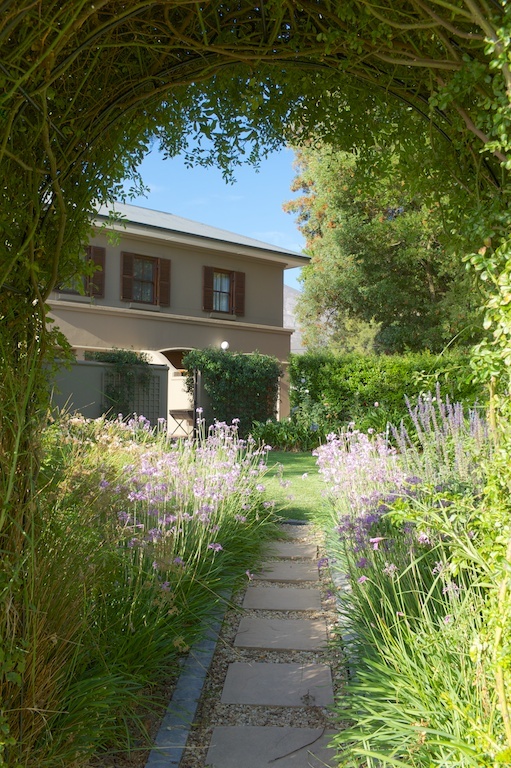 Situated away from the Guest House, with its own private entrance, the owner's residence comprises a gorgeous double-storey home overlooking a dam with breathtaking views of the valley. 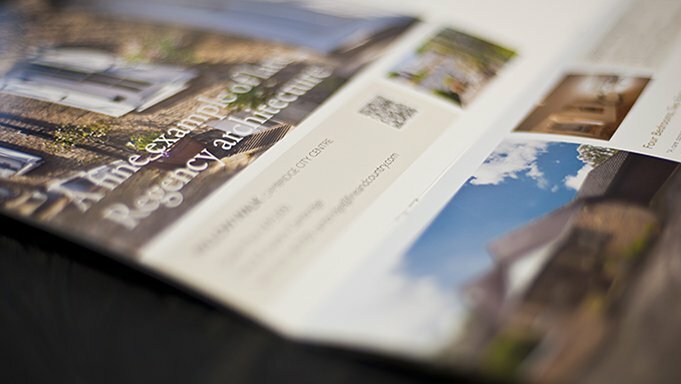 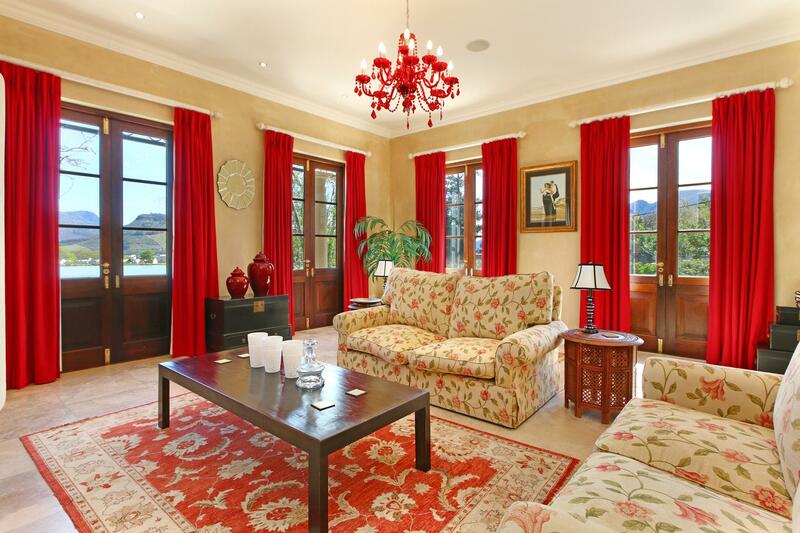 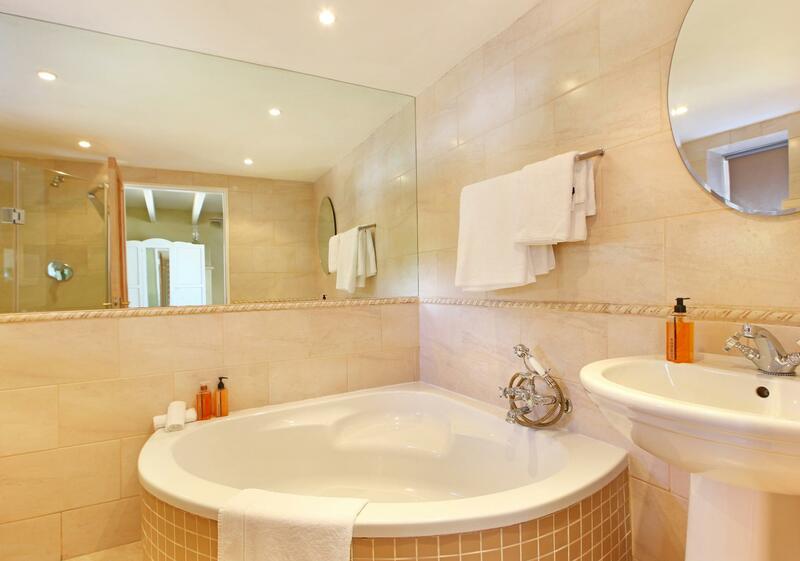 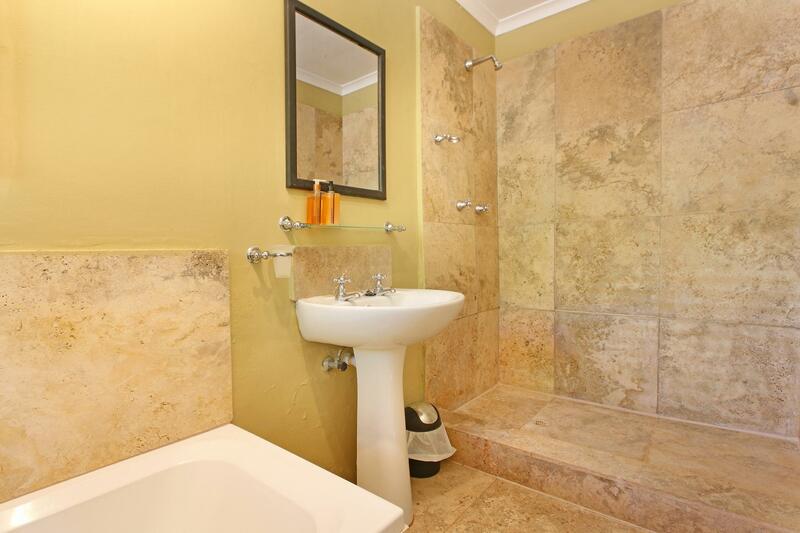 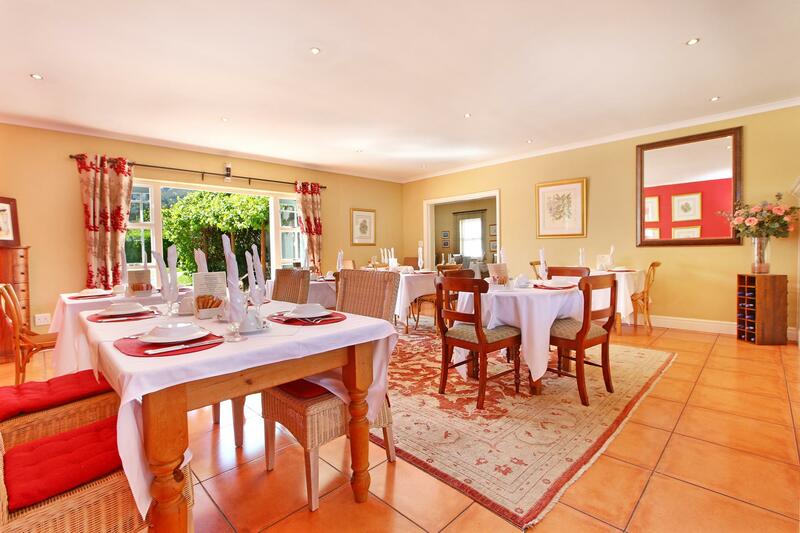 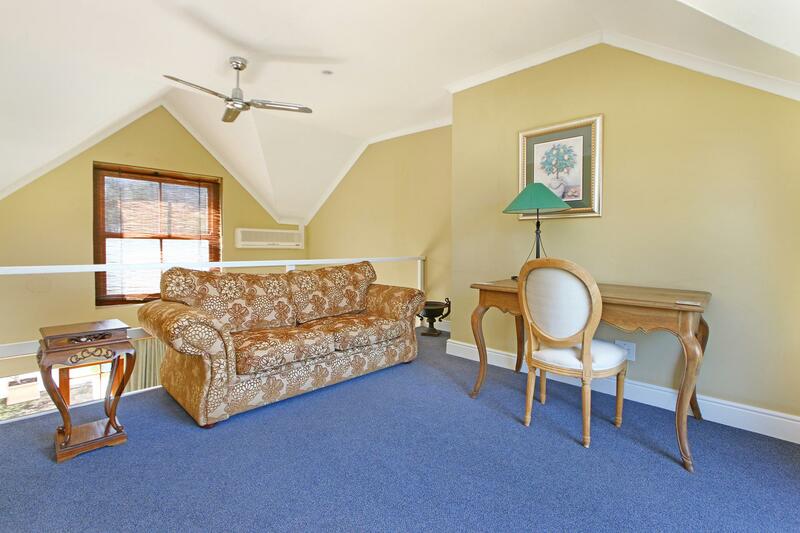 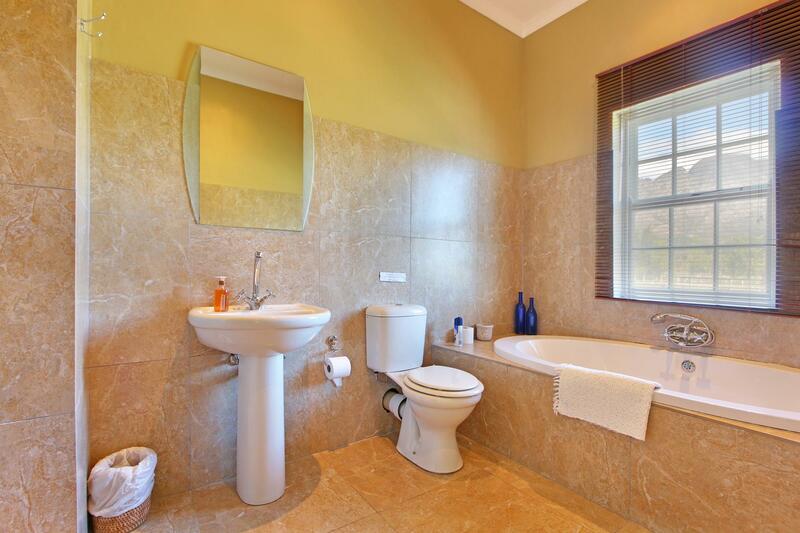 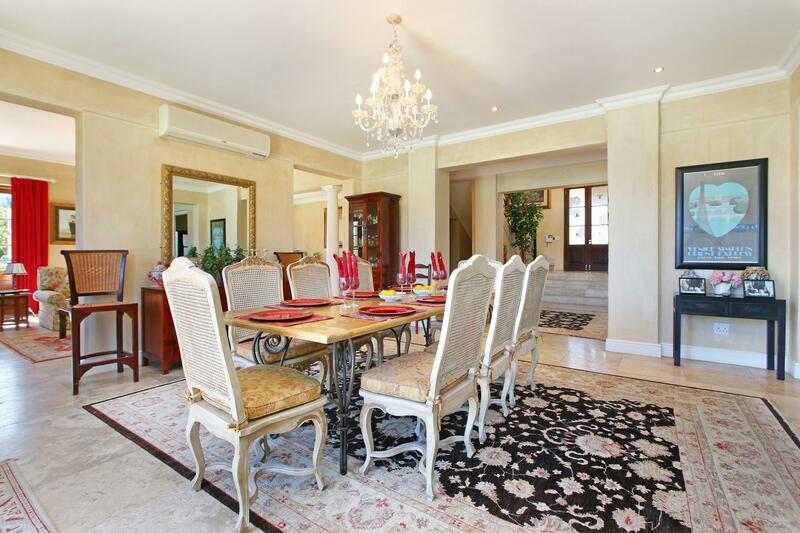 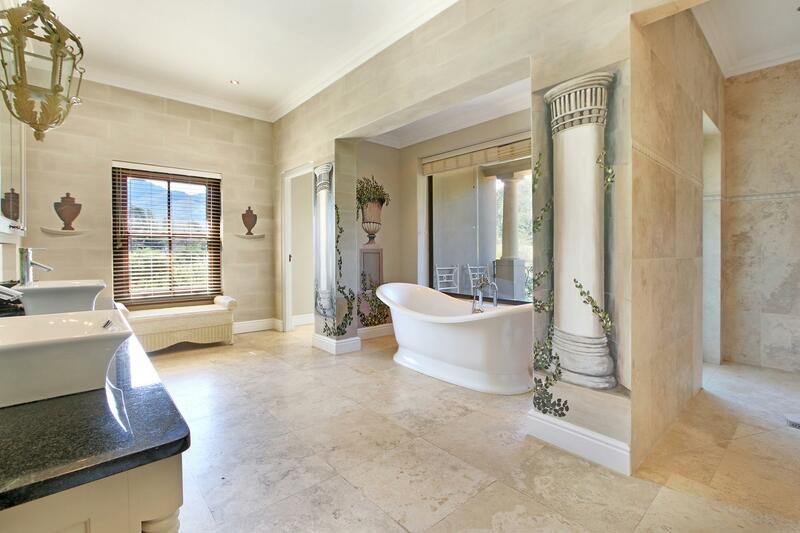 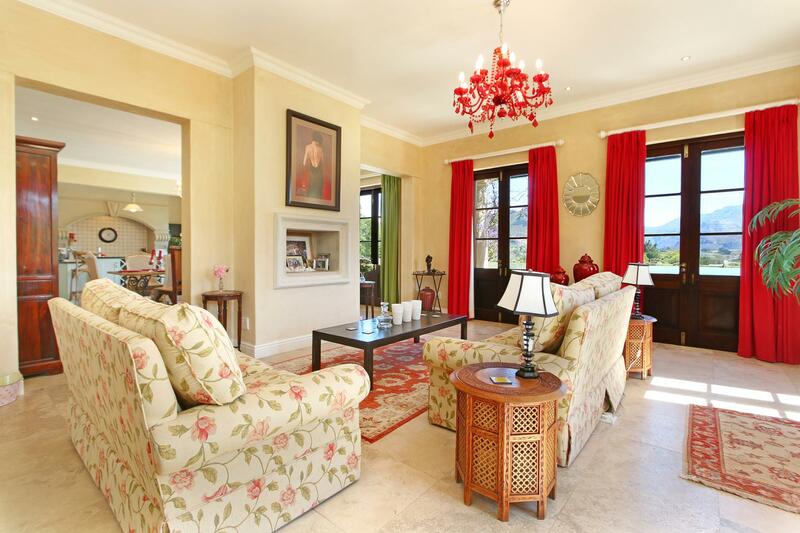 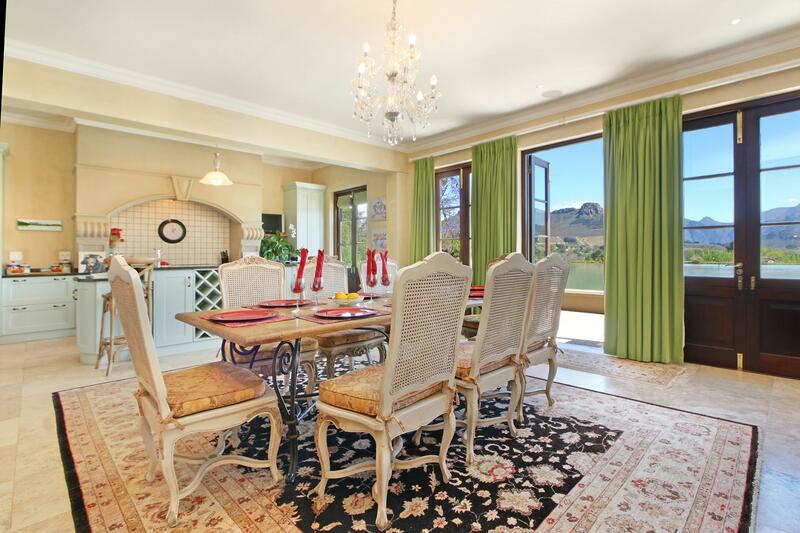 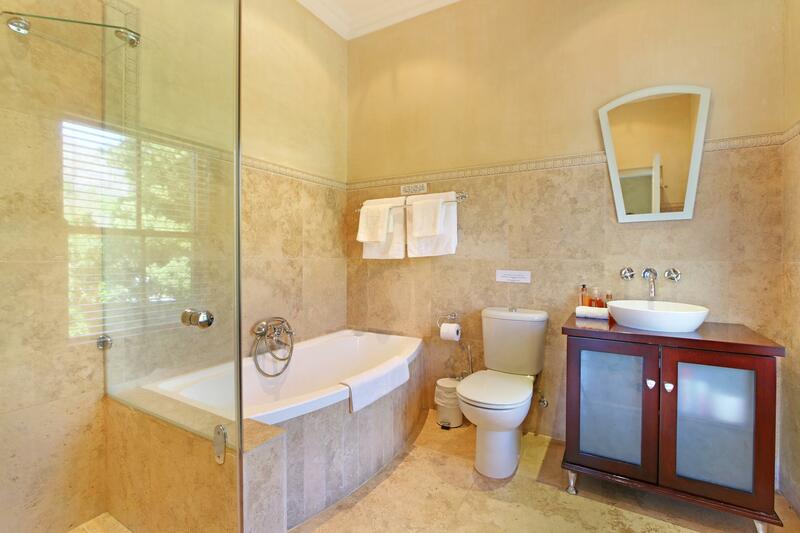 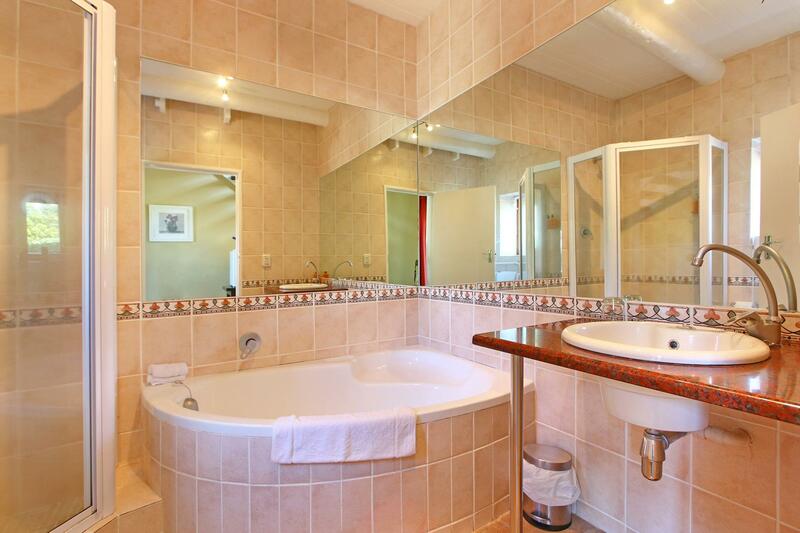 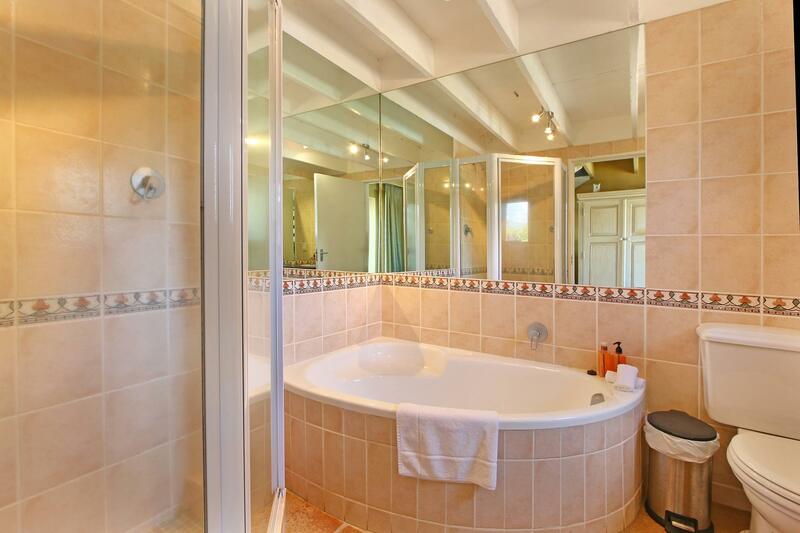 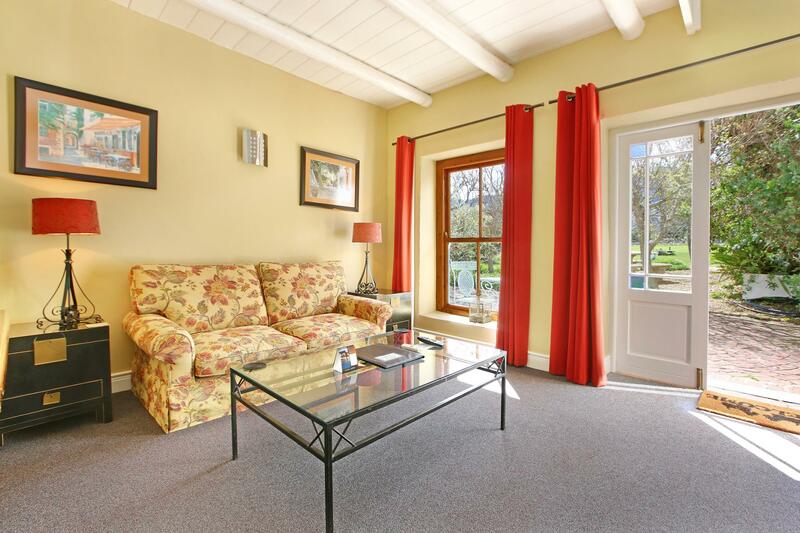 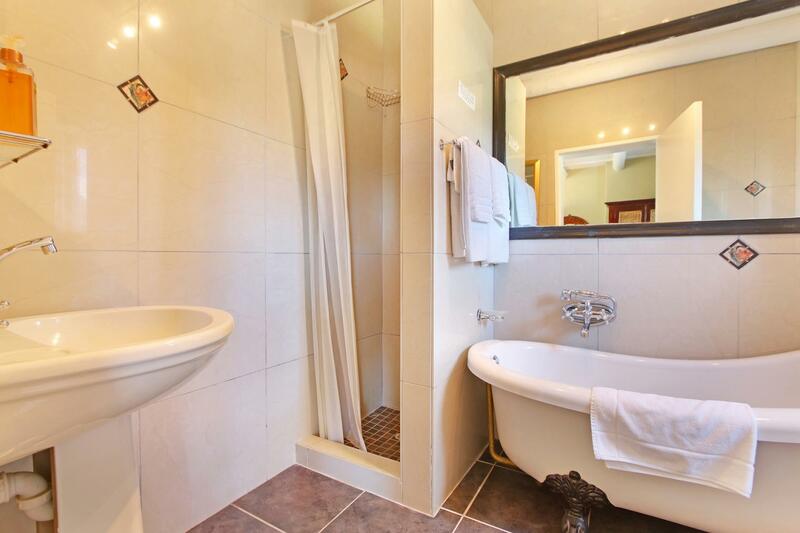 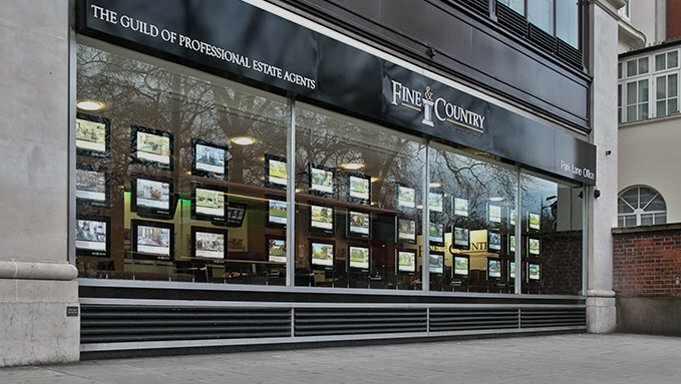 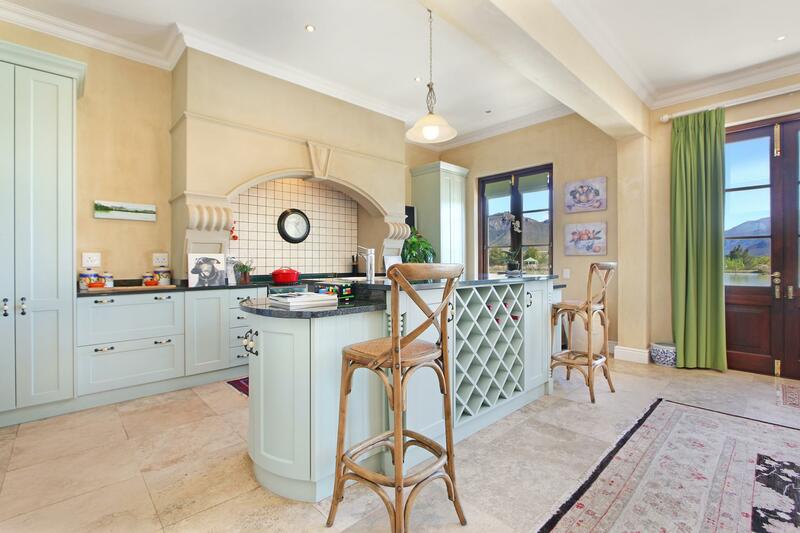 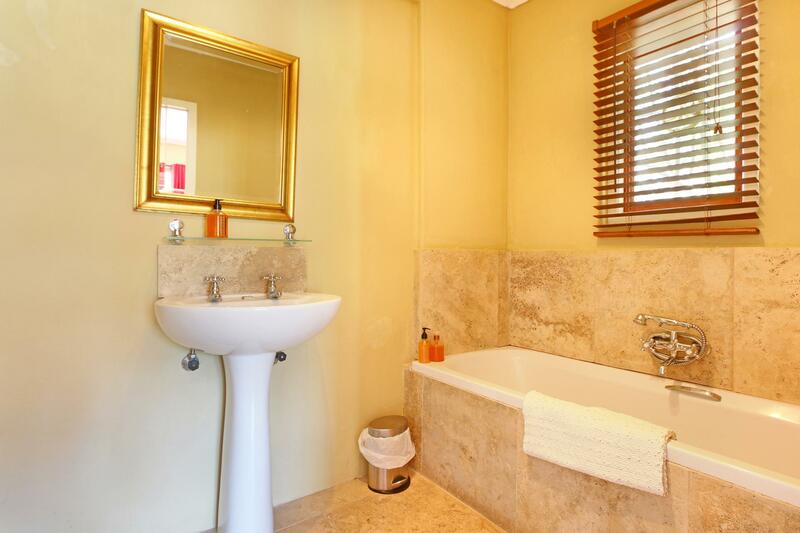 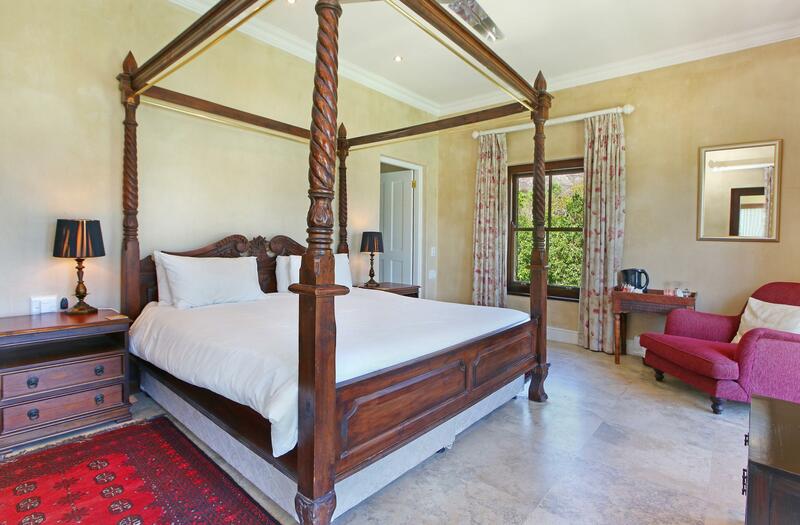 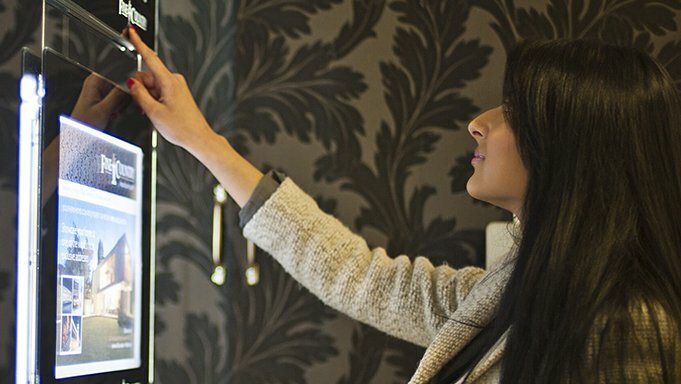 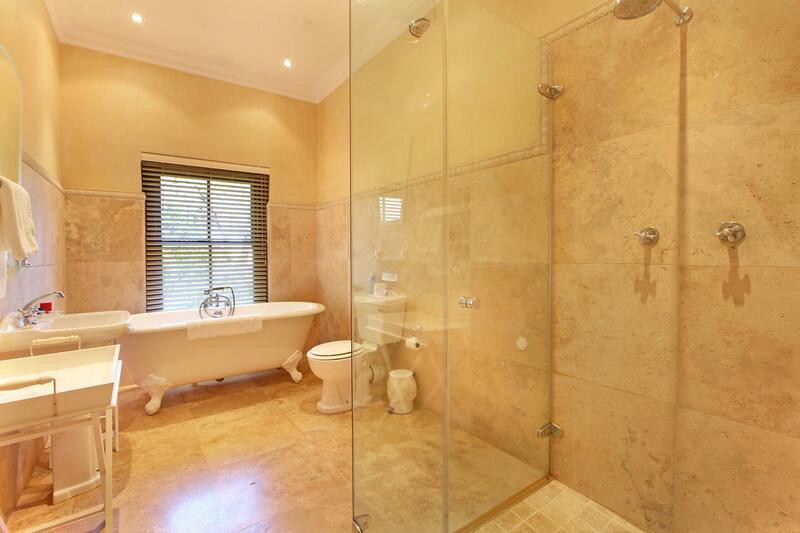 This 850sqm home has 4 luxury bedrooms (all en-suite), open plan kitchen/dining room with separate scullery & laundry. 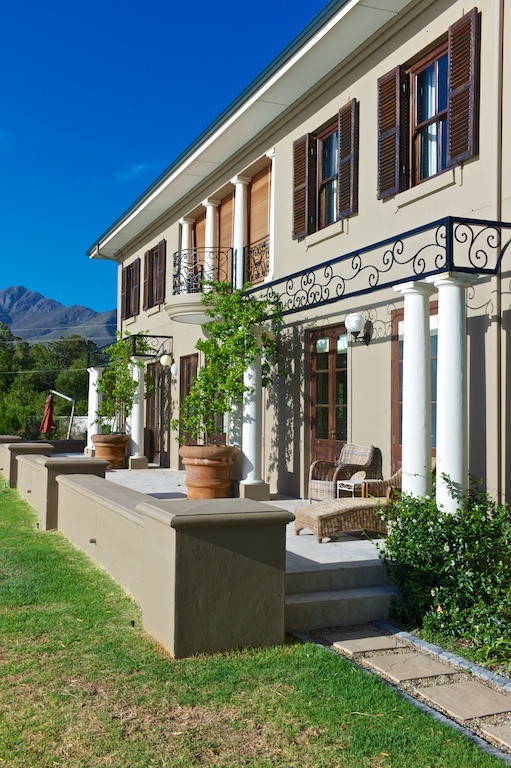 two separate lounges with french doors opening out to wrap-around terraces overlooking private gardens, a large dam and swimming pool. 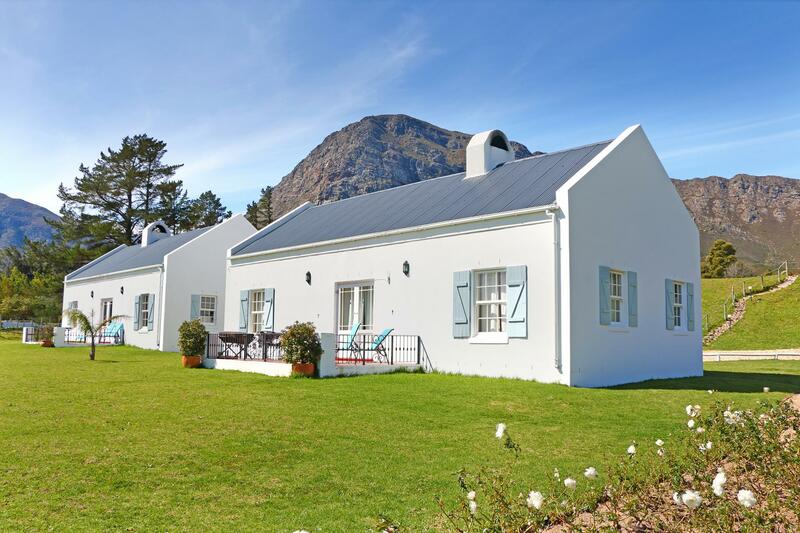 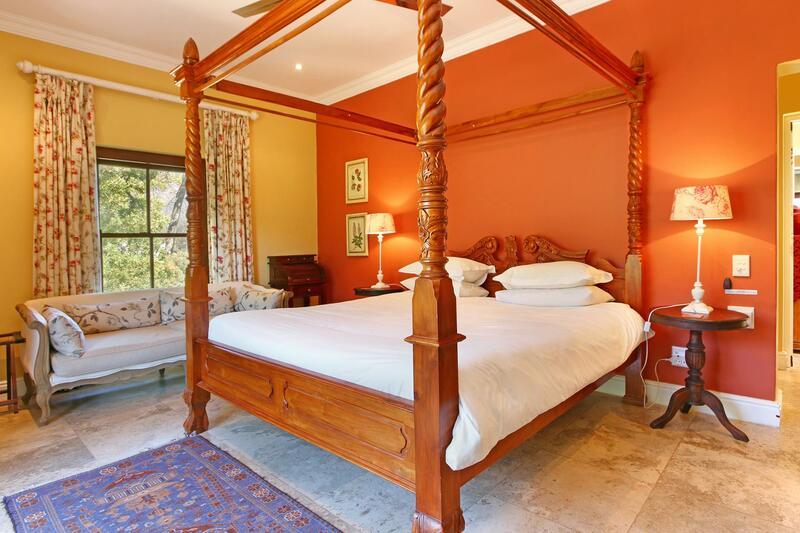 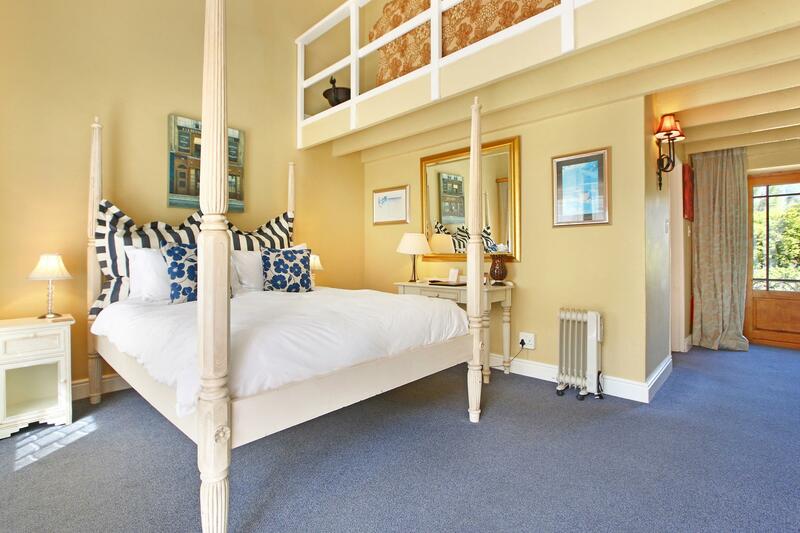 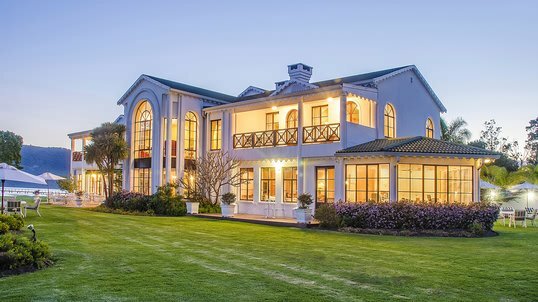 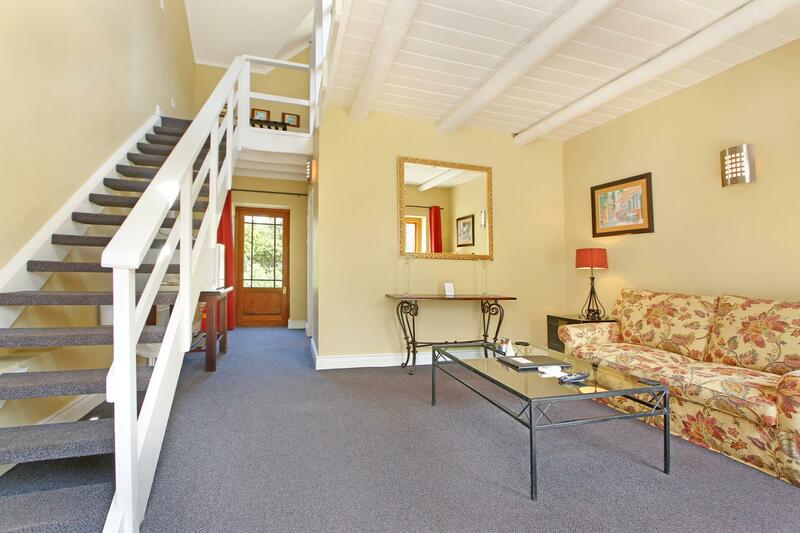 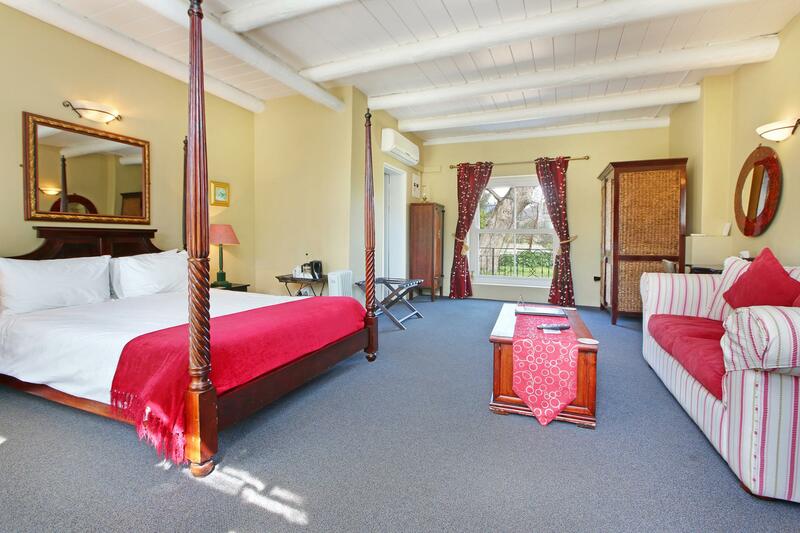 The Cape Colonial style Guest House accommodates up to 24 guests with 5 comfortable guest suites and 3 separate two-bedroom guest cottages . 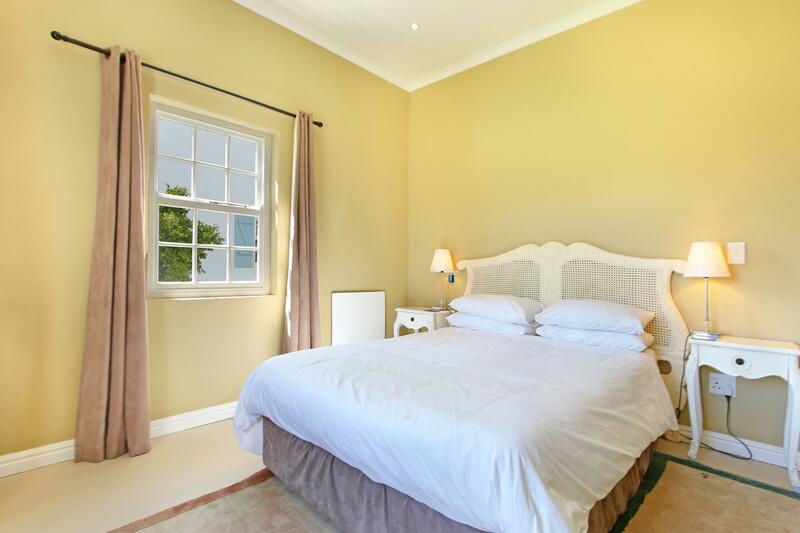 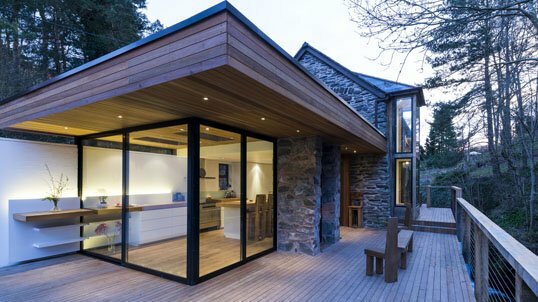 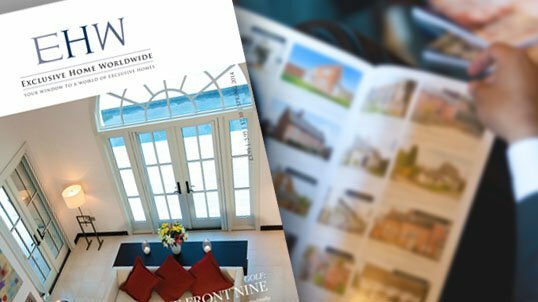 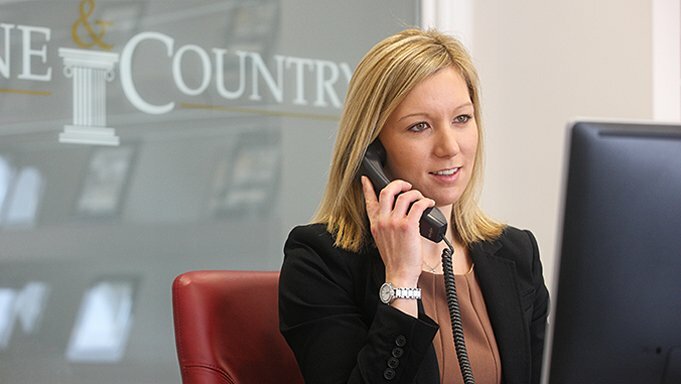 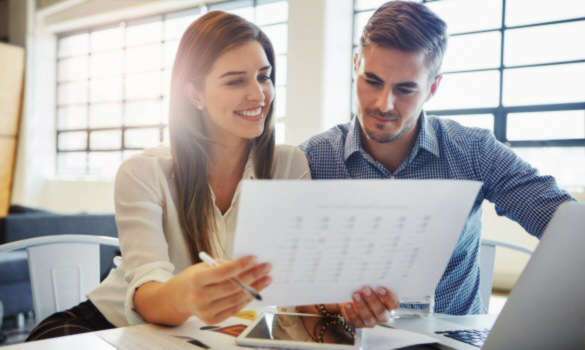 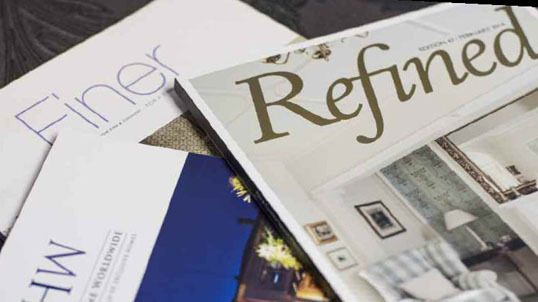 There is also a guest breakfast room, kitchen, reception & office and a two-bedroom Manager's cottage with approved plans for an additional two-bedroom cottage. 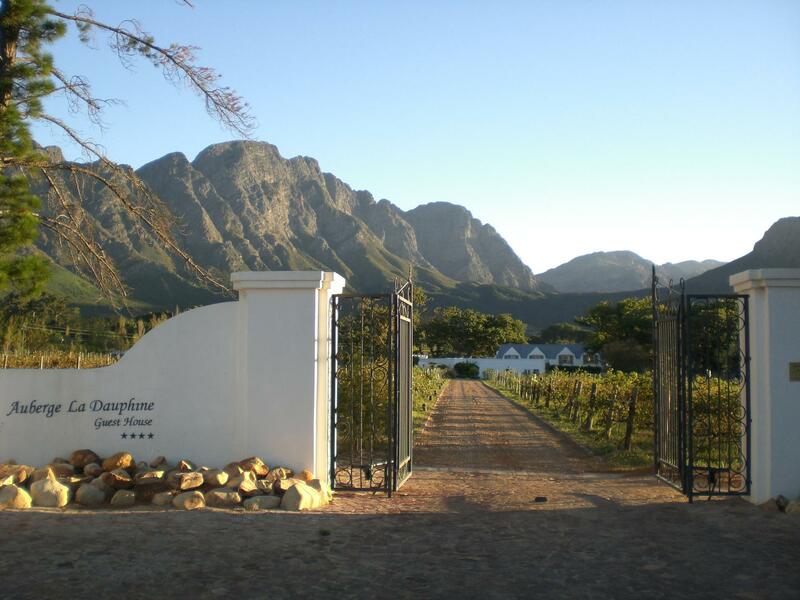 The property has been planted with Cabernet Sauvignon and Merlot vines that are trellised and fully irrigated from the dam. 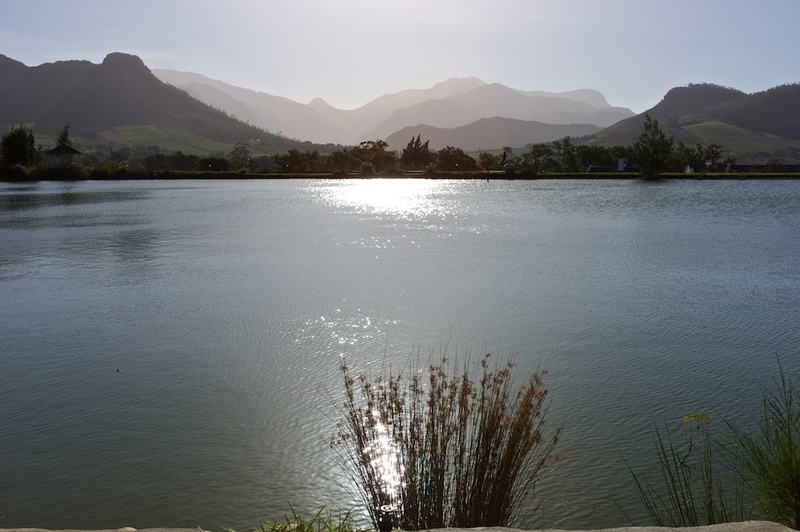 Additional water sources include piped spring water for household consumption as well as an unused registered borehole. 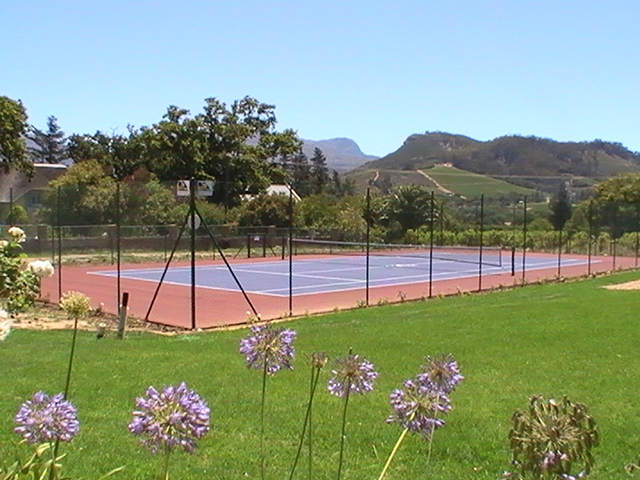 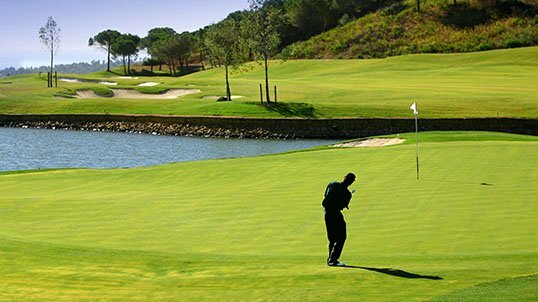 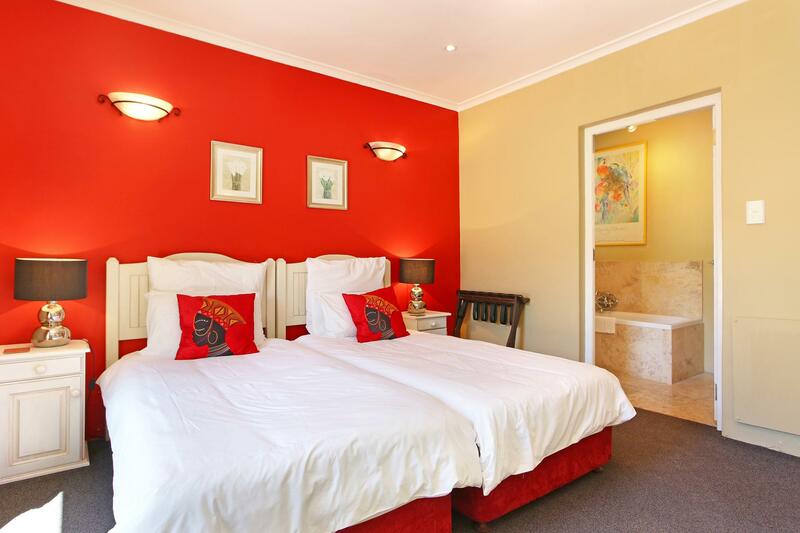 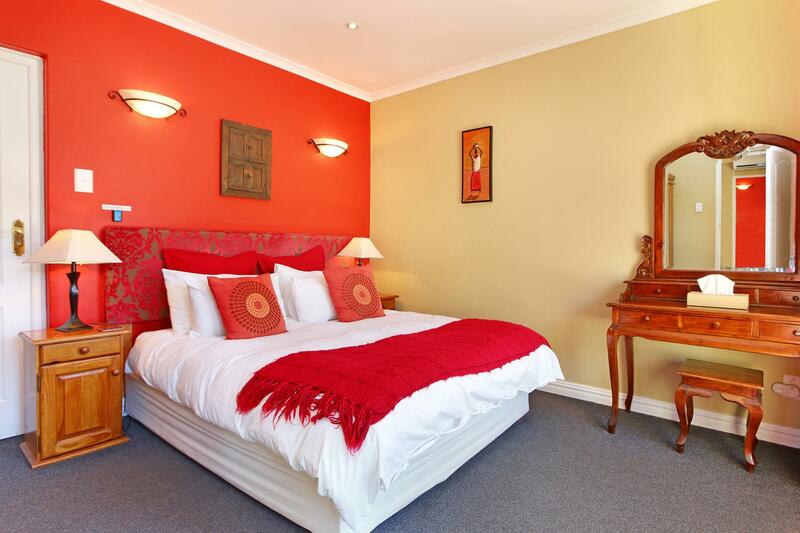 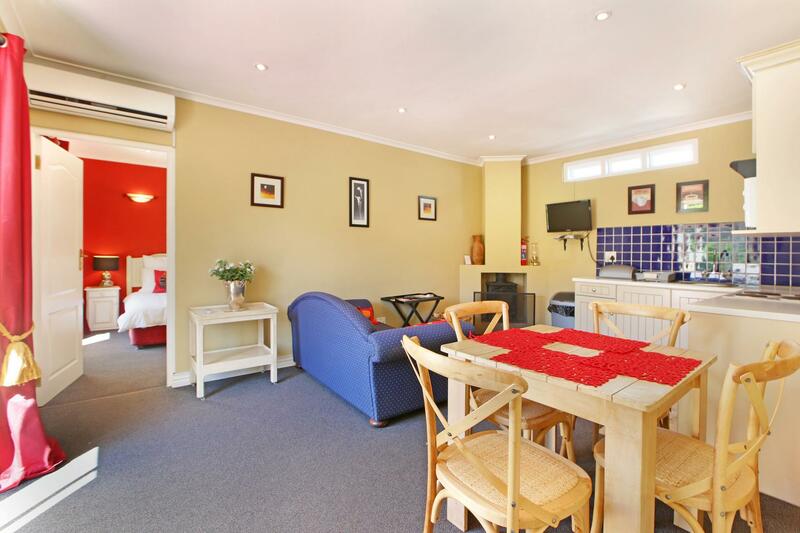 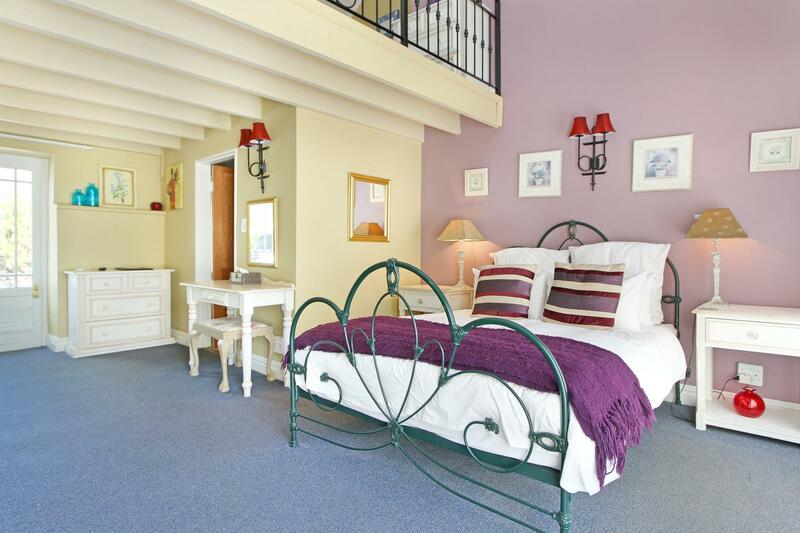 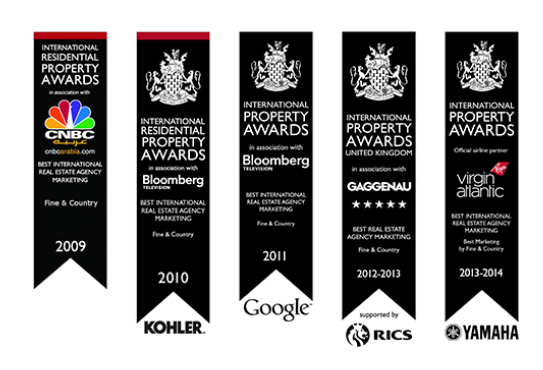 Other guest facilities include a tennis court, guesthouse swimming pool and paddocks. 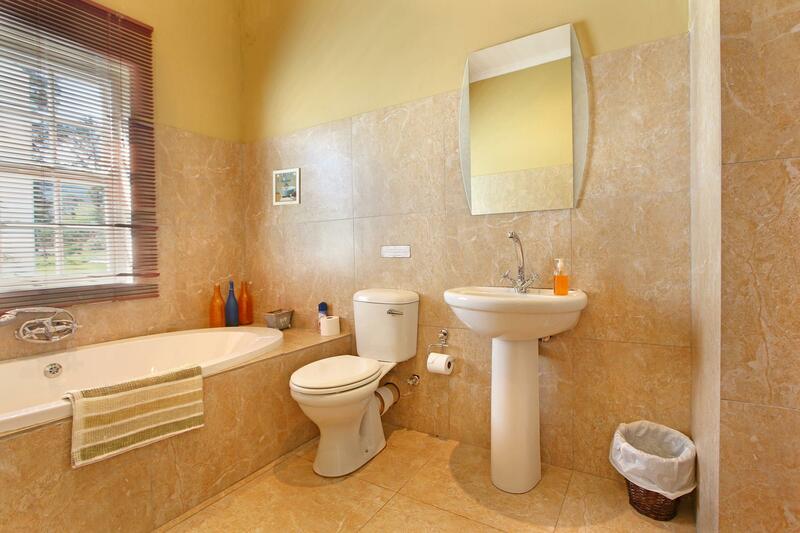 Service areas include a laundry, gardener's office with shower/toilet, separate tank room and sheds. 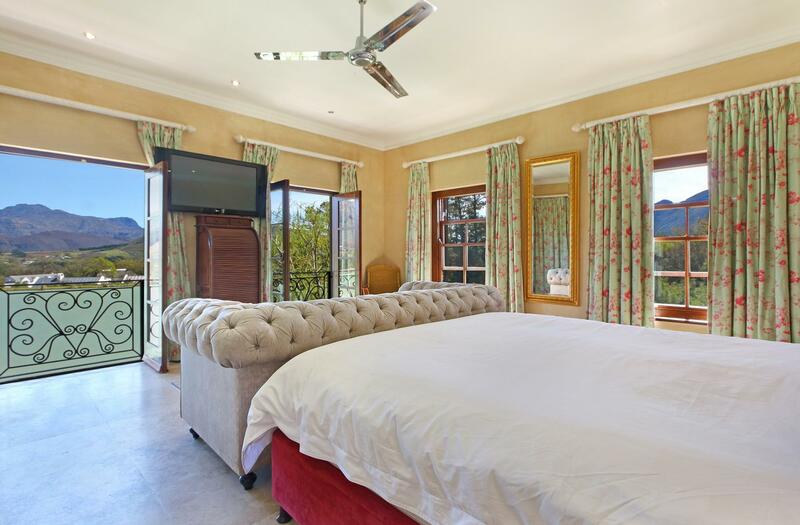 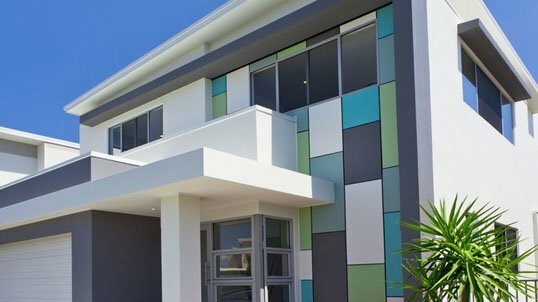 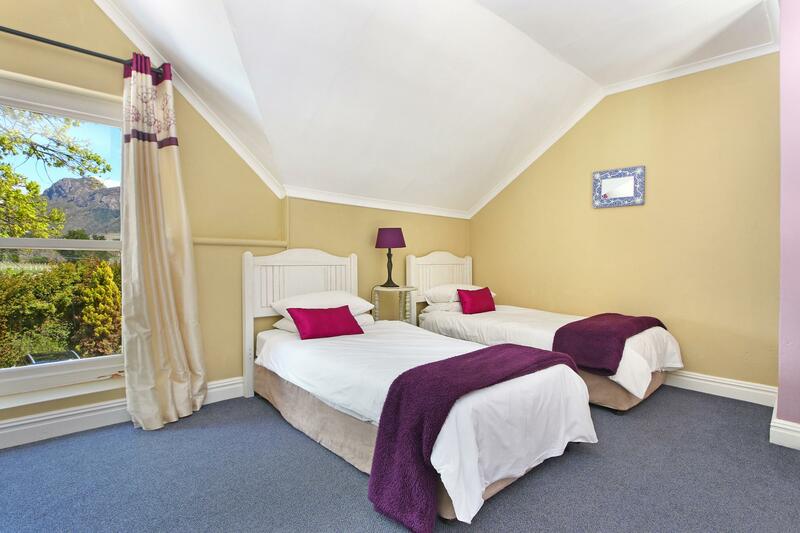 R40m plus VAT includes the property, profitable guest house business and all related furnishings and equipment.